Here at Zinn Insurance, we view referrals as the highest compliment we can receive. Whether you have a friend looking for better coverage or a family member who wants to save money, Zinn Insurance can help! 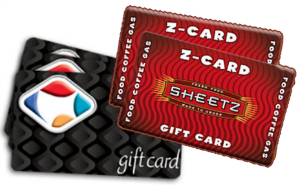 If you refer someone to us and we are able to quote them, we will send you a $10 Sheetz or Turkey Hill Gift Card as a token of our appreciation. But that’s not all…we will also submit your name into our quarterly grand prize drawing for $100! There is no limit to the number of entries, so refer often! Fill out the form to the right to Refer a Friend today! There is no limit to the number of referrals.